BRAND NEW TILE ROOF! Located just off Daniels Rd on Fiddlesticks Blvd. 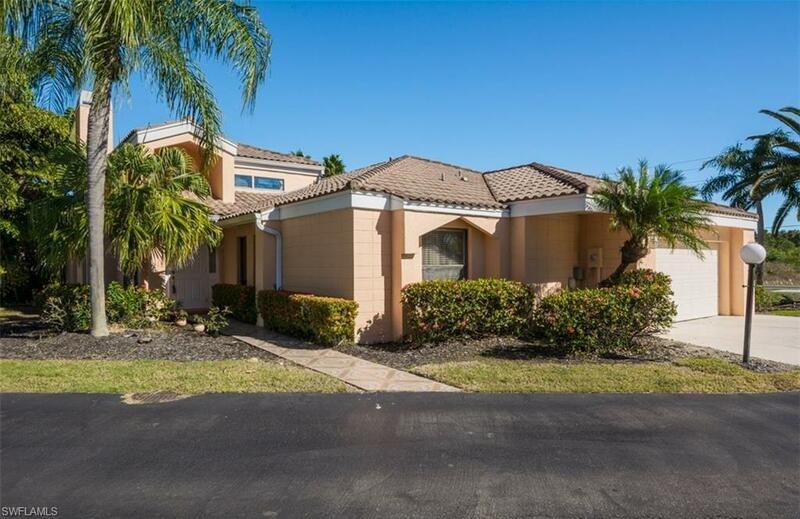 This centrally located neighborhood is walking distance to dining, Publix shopping plaza and less than 3 miles from Whole Foods. This small community, of 17 single family homes, has its own Artesian well and lift station. 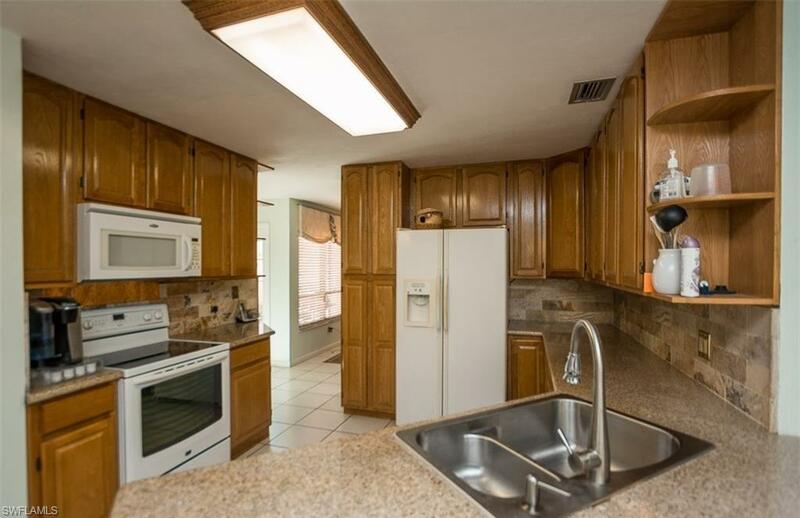 The kitchen has granite countertops with stone backsplash. 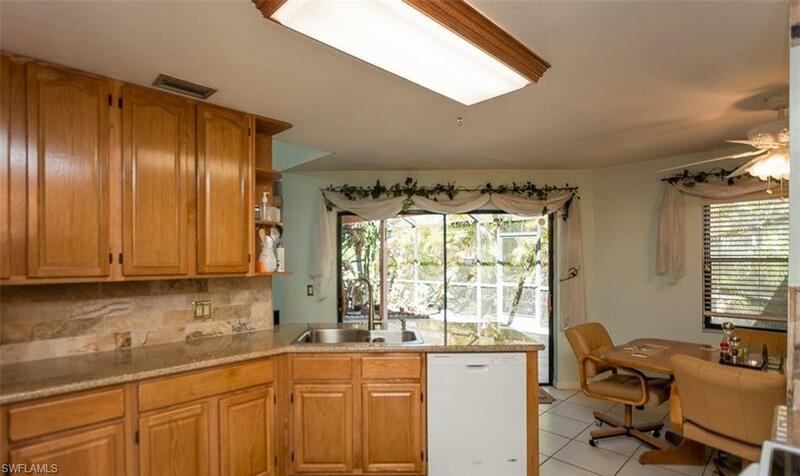 There is an eat-in-kitchen as well as a formal dining room. One of the two spare bedrooms is not only oversized, it has a walk-in closet. All windows have coverings and are included. 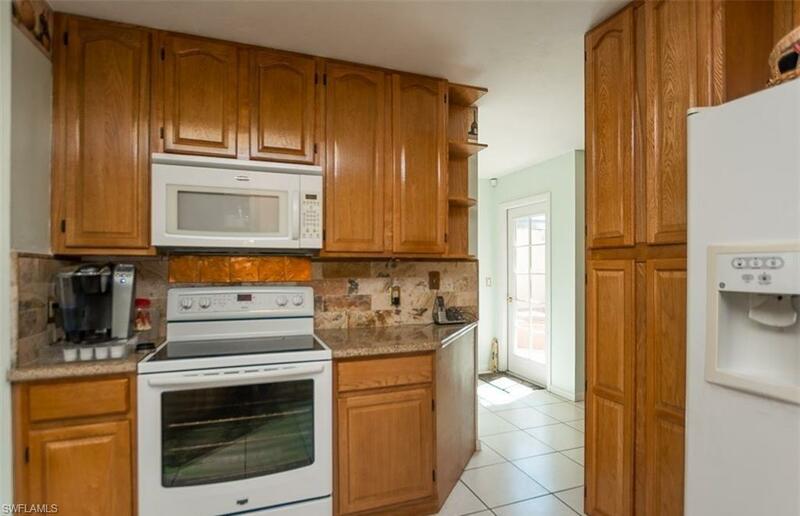 In this residence the walls are plasterboard, not drywall, every room has a ceiling fan, six in all, it also has a large (private) lanai, an oversized two car garage, a fireplace, a wet bar, a sink on the lanai, laundry room with cabinets, stained glass window and a VERY large bathtub. In the small "courtyard" area - there is a private hot tub. The garage has pull down stairs to the attic with ample storage space. HOA fees are very low - and include water, septic, landscape maintenance, guest parking and more. The large community pool is only steps away from this residence.